By default, there is not logo in the top row. However, you can add it easily to the Ice Cream template using Sparky Framework's Layout Builder and Features. 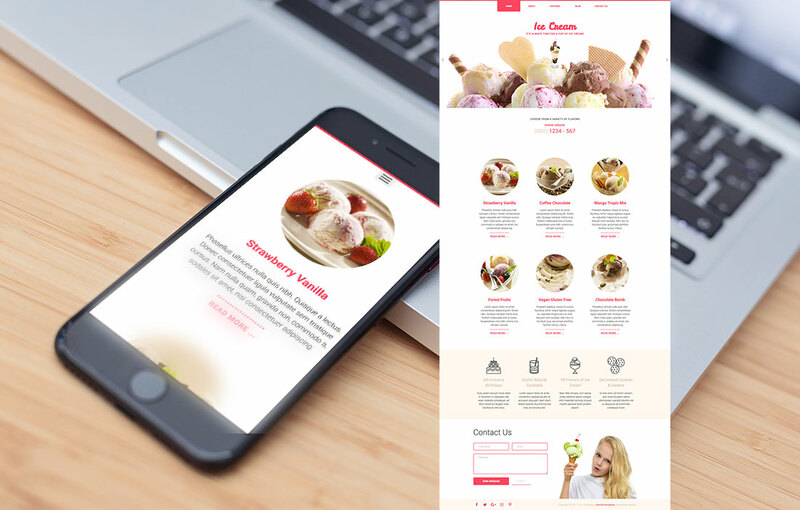 In the original design of the template, site visitors will first observe the big and centrally aligned top menu buttons with big carousel images of various ice cream blends below. The elements below the carousel are normal Joomla articles with intro text and read more buttons. Featured intro images have circular shapes and it's achieved directly in CSS. These articles represents various ice cream combinations and you can add more articles there if that's necessary. You would need to make sure that intro images are selected and they have the same width and height (otherwise, you would get elliptical instead of circular shapes). 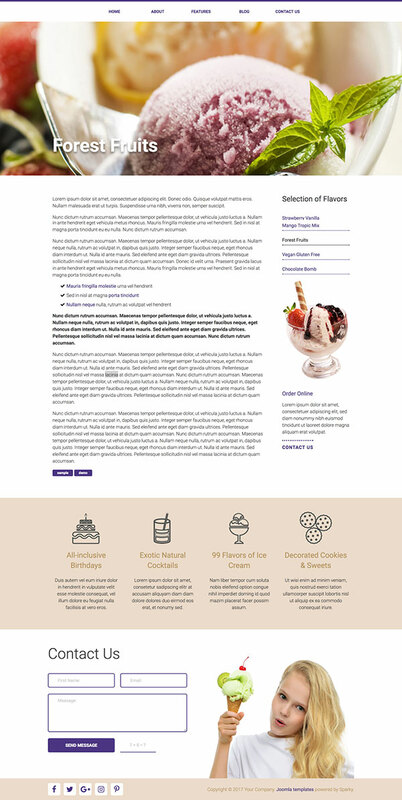 The lower area of the Ice Cream template contains 4 modules with slightly different background color. In this row, you can put some facts about your products, offer extra discounts or promote new products. Finally, there's a simplified contact form with a nice image of young girl holding a cone with ice cream. This form allows you to get in touch with your clients or even receive orders online if your company offers a delivery service. Total control of all menus through the framework. You can set functionalities and style of all your menus and drop them directly into the layout. 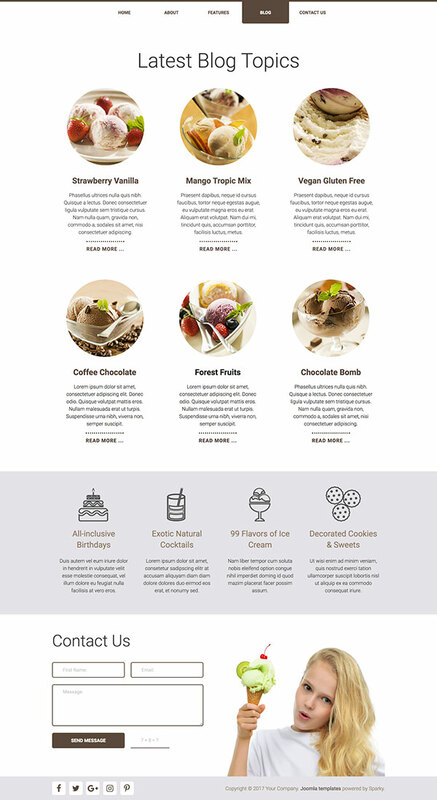 Ice Cream template uses Drop-down menu which allows multiple levels of menu items to be included in the top row.